With globalization trends in recent decades, traditional civilizations are pretty much all gone. Especially, nomadic cultures of central Asia. However, there are some small groups that still survive with their natural ways of life. 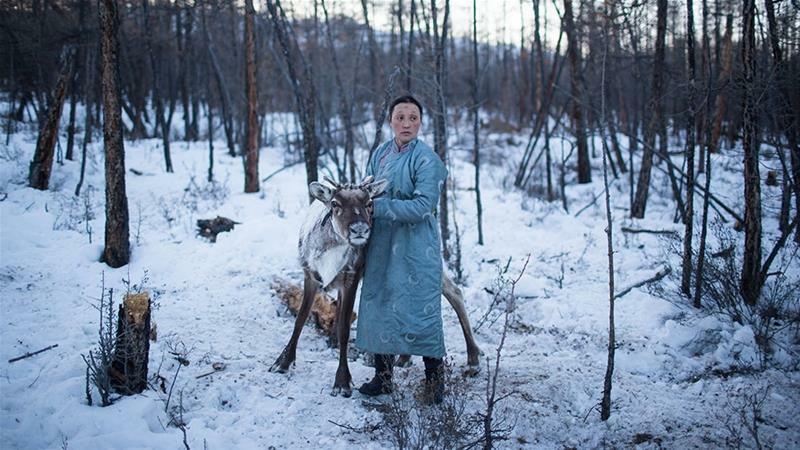 In this story, we bring you Dukhas of Northern Mongolia. Several journalists and photographers spent years living with them during which they captured some astonishing moments that will amaze you. 19. Who Exactly Are the Dukha? 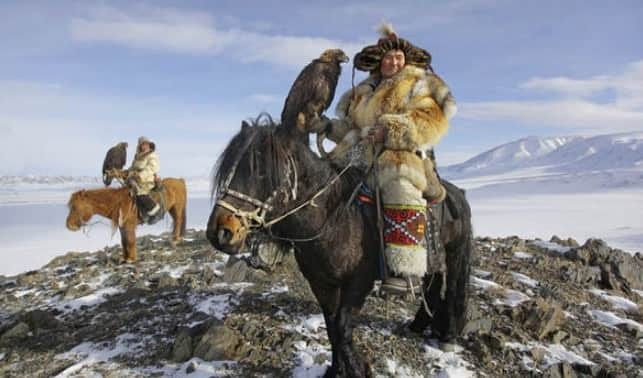 The Dukha are actually Tuvan-Turkic tribe from central parts of Asia, somewhere in South Syberia. 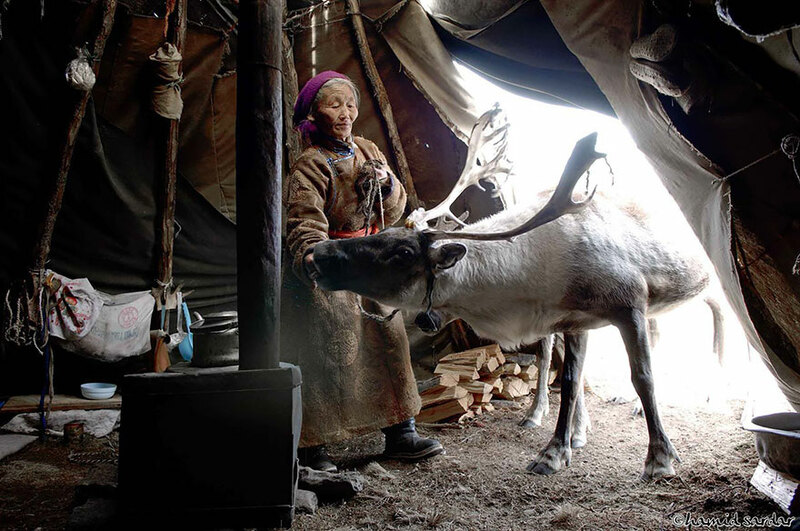 They are purely nomadic, which means they rely on moving all the time, in order to survive. However, in the several past decades, they are forced to live in smaller and smaller areas. 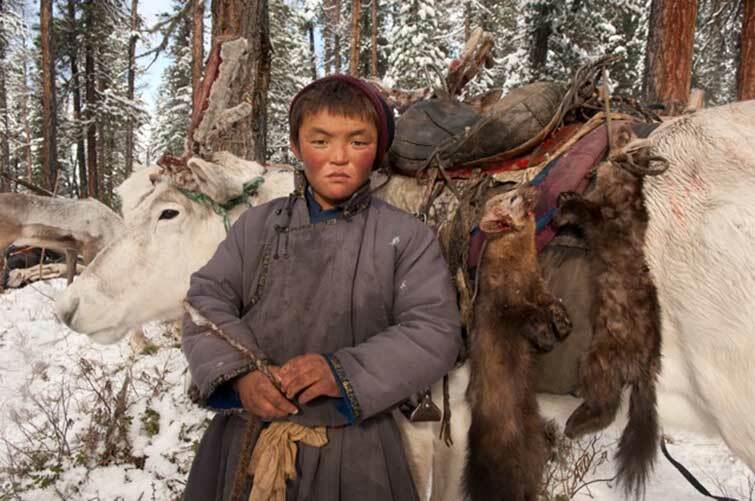 They are one of the few nomadic groups left around the globe and they are struggling to keep their culture alive. 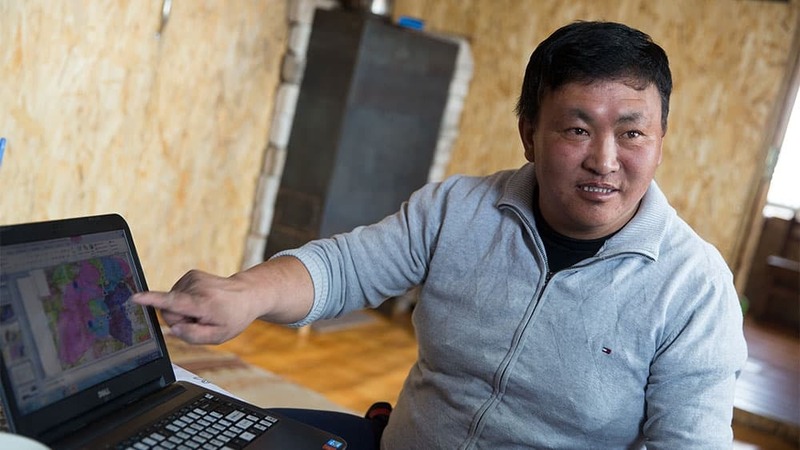 If you know your geography, you might have noticed that South Syberia is in Russia, but they live in Mongolia. 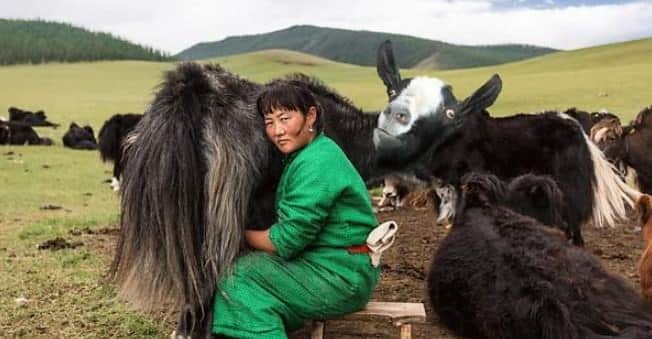 How did they become Mongolian people? During the socialist times, Russian government tried to recruit Dukha men into Red Army. Dukhas, ethnically never really belonged to any country of our modern era. So they refused to give in to the Russian government and decided to move their people south. 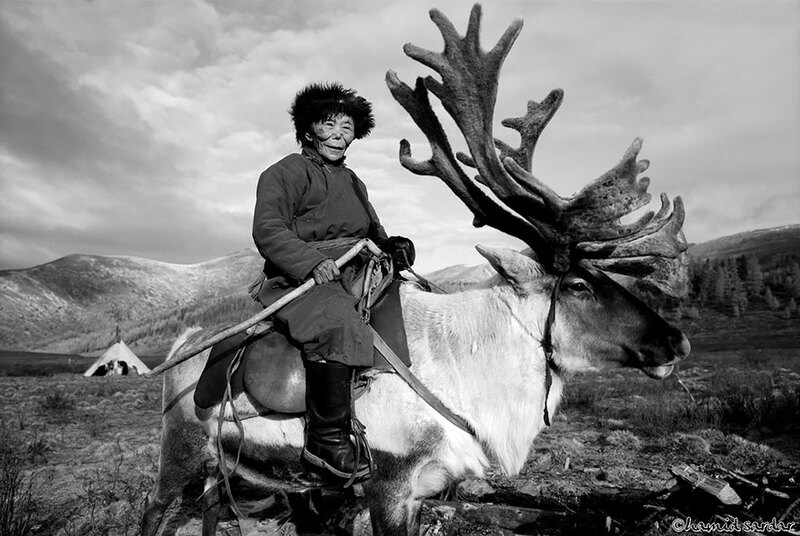 In time, they settled in the far northern Mongolian province, Khovsgol. Instantly, they’ve built good relations with the previous socialist government of Mongolia and lived there ever since. Khovsgol is a really harsh place to live at. Especially, when you consider The Dukha are pretty much living out in the open. These vast areas are known for their extremely cold winds and snowy winters. 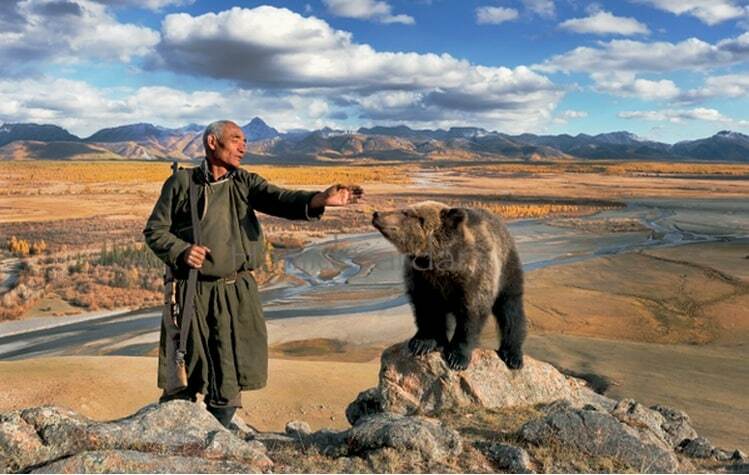 Khovsgol is actually much smaller area than Dukhas have been used to live at throughout the history. A smaller place to live is not so great for the survival of their people. Now, how exactly did they live and survive throughout the history? Dukha built a special relationship with animals of all kinds through their past. They’ve learned and kept some animal skills that no one in the world still remembers. The most important one being taming wild animals. Even the wildest ones bend to their will, like forest wolves and bears. They, simply, have a bond with nature as a whole. However, reindeer are their biggest allies. 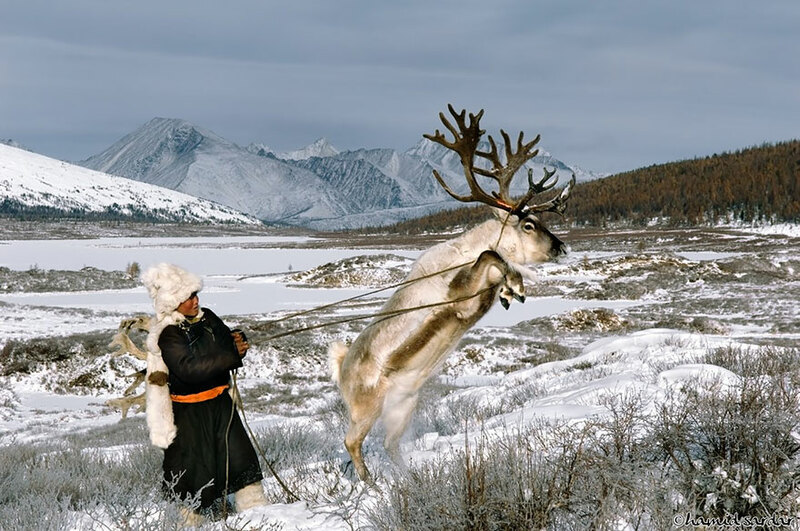 Although they have horses too, reindeer are better at surviving in these harsh and cold areas. These beautiful beasts give them milk, which they can make cheese from. But, they are unable to herd enough of them to survive by eating their meet. Luckily, Dukhas have other ways to feed themselves in the forests of Khovsgol. Maybe you would have thought that a group of people with such bond with nature wouldn’t resort to hunting animals for food, but hunting itself is an ancient spiritual discipline for them. To have such relations with animals and live by hunting them is a completely natural way of life. They were always the most skilled hunters. That is because they use hawks to track animals. Hunters which can tame hawks hold the special status in their culture. Lately, however, there are major problems with hunting in these areas. Could it be their own fault? Like we mentioned before, the area they live in is much smaller than they used to live in the past. That means there are less natural resources to exploit. 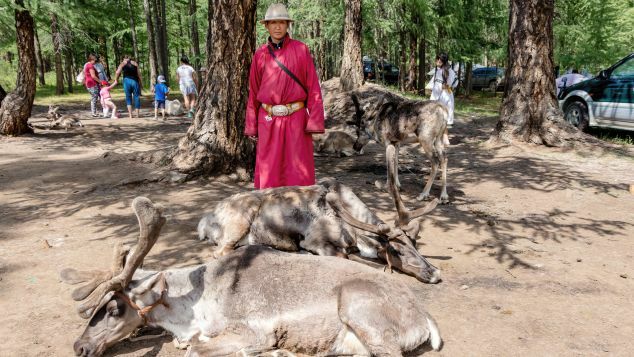 In recent decades, Mongolian government started looking into the wildlife in areas which hold natural resorts. 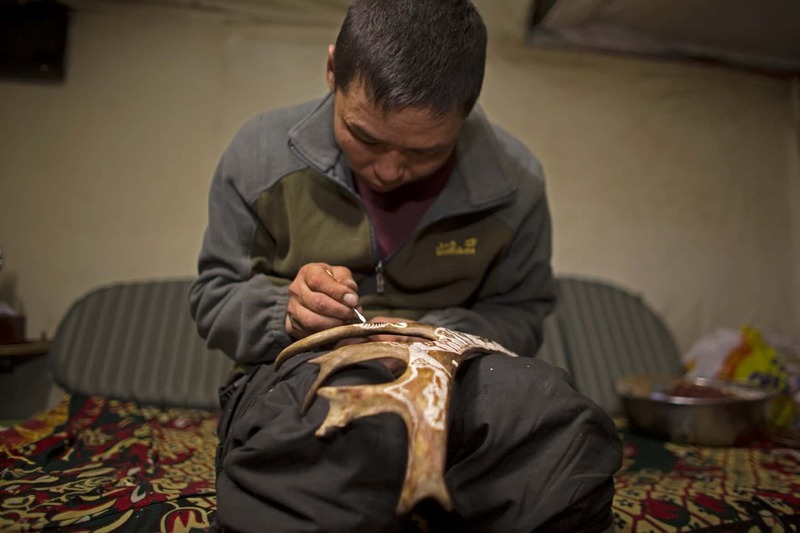 What they found is that animal life is diminishing on the grounds that Dukha hunt at. Could it be that they are hunting animals into extinction? Rangers were appointed to patrol and keep animals safe in these areas. 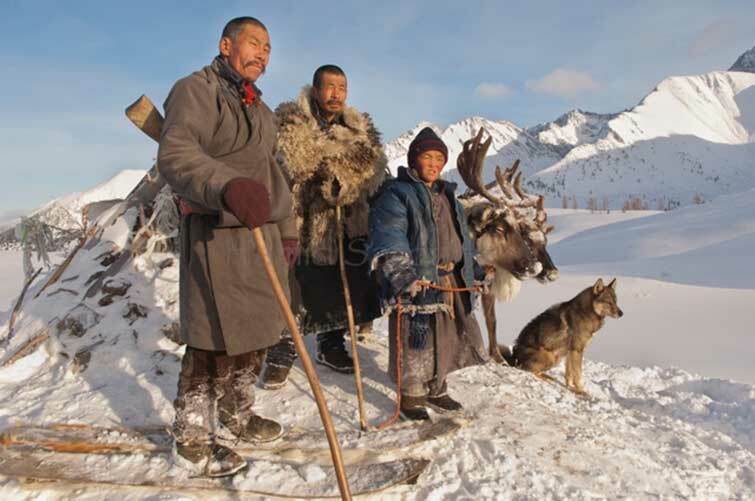 Some of the rangers were of the Dukha’s ancestry which started living more modern lives. All of that didn’t really stop Dukhas from hunting whenever and wherever they want. Rangers started capturing them and arresting some, but they don’t have enough personnel to deal with this issue. One of the rangers decided to tell reporters what is the popular opinion among rangers regarding Dukha’s hunting habits. The rangers believe that the Dukha hunters do not care about wildlife at all. They think that Dukhas are exploiting these lands in any way they can. This is starting to impact the relations and ways in which they treat Dukhas. Both groups are starting to use violence against each other and that is not the way things should go. The rangers are simply doing their job and trying to protect these lands. Dukha’s hunters, however, have their own side of the story, which you need to hear before you make your judgments. The hunters blame the authorities mostly. They state that most of these rules were never passed on to them. No one really informed them about what they can or cannot do. One day the rangers just appeared and started capturing them. What’s even worse, no one talked to them before the decisions were made, like they don’t even matter to anyone. It angers Dukhas and they are requesting that in future everyone should talk about these matters together and find solutions which are good for everyone. After some time, they got used to the situation and there are fewer and fewer incidents lately. However, these new rules still force them to change a lot about their lives and their culture. But how exactly is the life of their people changing? The Dukha started to realize their way of life won’t stay the same for a long time. With all these changes putting them in a tough situation, they need to look into assimilating into the modern world. At least to some degree, that is. They are very proud people, and this situation isn’t welcomed by them. But most feel they don’t really have a choice. Without enough ground to hunt at, they have no choice but to get money and buy the food. The government decided to give them money as a compensation for restricting their hunting rights, however, not nearly enough for them to survive. Now, they are forced to live close to the local towns and do everything they can to earn some extra money. Not long after, they realized local people are fascinated by their culture and that gave them a brilliant idea! What better in today’s world than tourism. If you have something amazing and unusual to show people are willing to pay a lot to see it. And so they started staying south near the lake more often, giving tourists the chance to explore their culture. Tourists especially love their reindeers, which they come to see from all over the world. They offer them all kinds of activities. From riding reindeer to various performances, and even crafts for sale. Even though they don’t prefer this sedentary way of life, all of this is very beneficial for keeping their culture alive. And there are other benefits as well! Their people can finally live in some decent shelters. For the first time in their history, they started using wooden houses. What’s even better, they are close to town and that means more interactions with local people. Maybe this will finally make other people respect and treat them as equal citizens. Their people are much safer this way. They are close to the local doctors as well if they have any health issues. This new way of life gives a lot of life opportunities for younger generations. They can attend school and get a decent education. Children, in the past, were the most endangered with their nomadic way of life. They are the most prone to injuries and rely on food the most, so this new life is a great deal for them. However, some of the elders are scared that the children will start to lose interest in their own culture. It’s easy to get attracted by the modern world and forget who you are, they say, and that’s not what they want for their future generations. That obviously, is a great threat to the survival of their culture, but there are other problems that appeared in the past years as well. 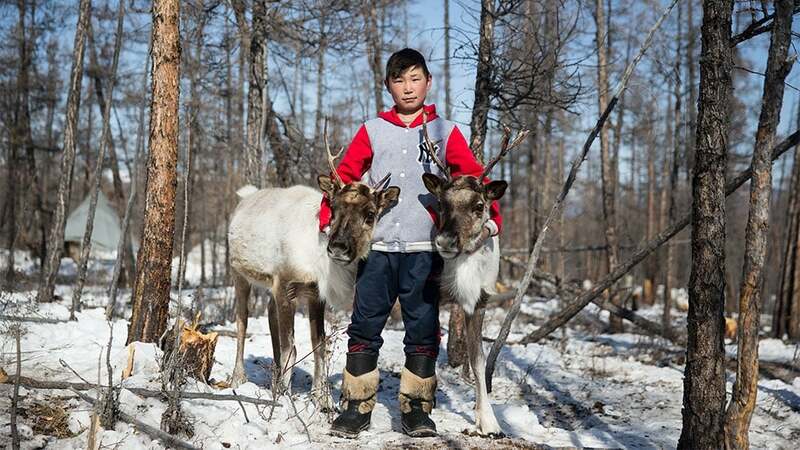 Reindeer population is drastically reducing year by year. This is all due to them needing large areas to feed. Once they have eaten all the grass in some area, they need to move elsewhere. 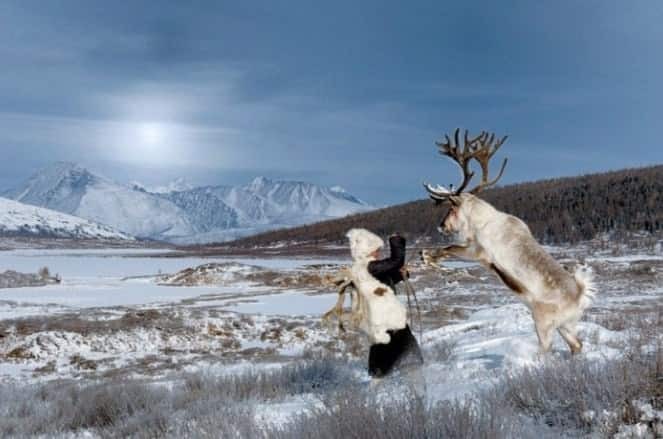 Their new sedentary life is forcing them to reduce the number of reindeer because they cannot feed them all in the same area. 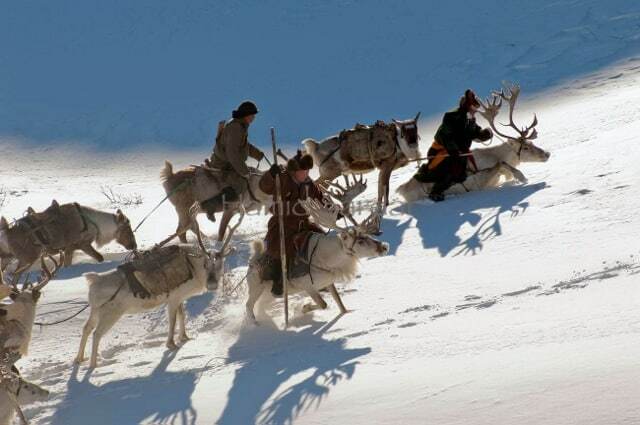 This is who they are, they are “The Reindeer People”, and to lose their reindeer means losing their identity. There are some that blame them for the reindeer dying out. They say Dukhas are exploiting reindeer for their personal use and only care about money lately. 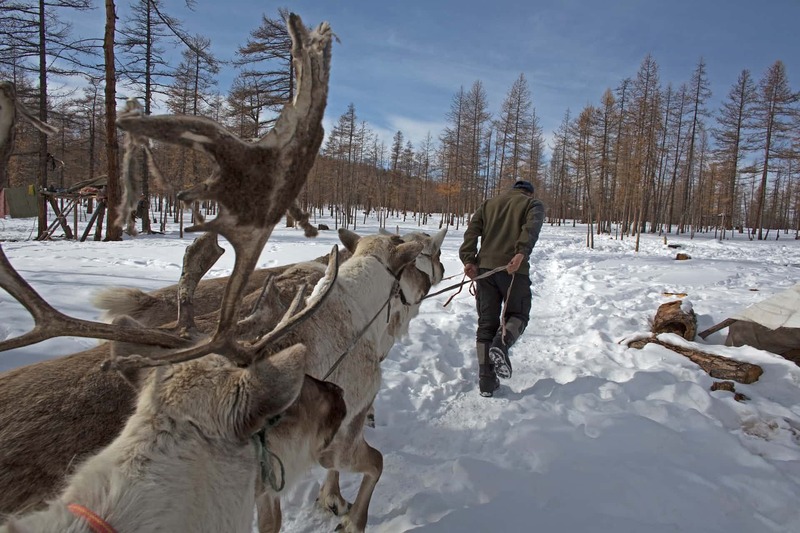 There are rumors that reindeer are kept in bad conditions and that is affecting their popularity among tourists. The rumors even went so far to make some local people tell tourists not to visit them. Dukhas deny all these claims and say they are simply misunderstood. And now, it’s time for them to prove their good intentions. The obvious thing they need to do in order to prove their good intentions is making sure the reindeer are taken good care of. That means growing their population as they did before. After all, they know reindeer better than anyone. That is, however, difficult in the situation they are at. 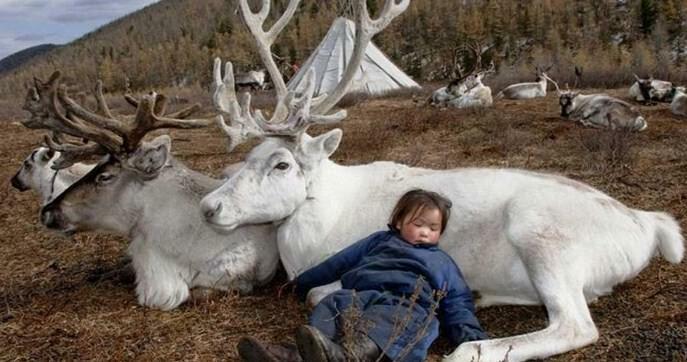 There are very few families left that are willing to take care of reindeer. Most of the others have assimilated into the local population and started doing other things. This poses a bit of a challenge for the remaining Reindeer People. 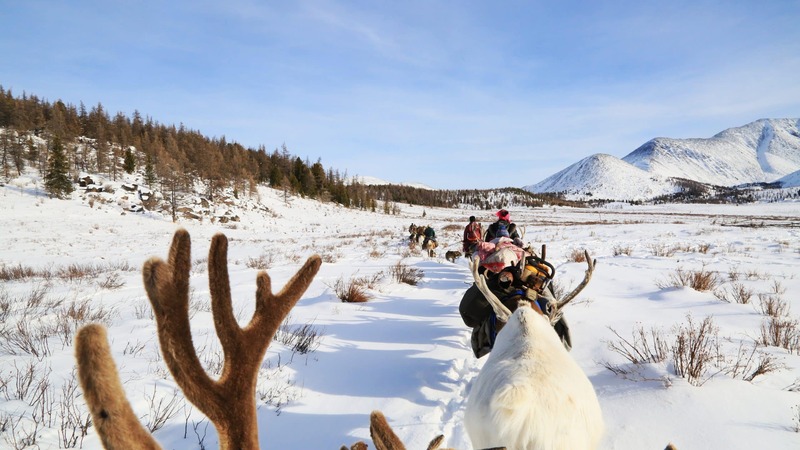 The remaining families are forced to break apart into smaller groups and bring the reindeer out to other areas so they can feed. The problem is that takes several months at least, and it’s a long time to split families apart. It’s the only solution to their problems at this moment, unless the rangers and the government can think of some way to help their situation. Can they survive like that in the long run? The danger for The Dukha culture is very real. The younger generations are less and less interested in keeping their culture alive and their population is diminishing year by year. Unless the government can offer them more assistance, the globalization and modern world will put an end to their culture. Guess, we will have to wait and see.